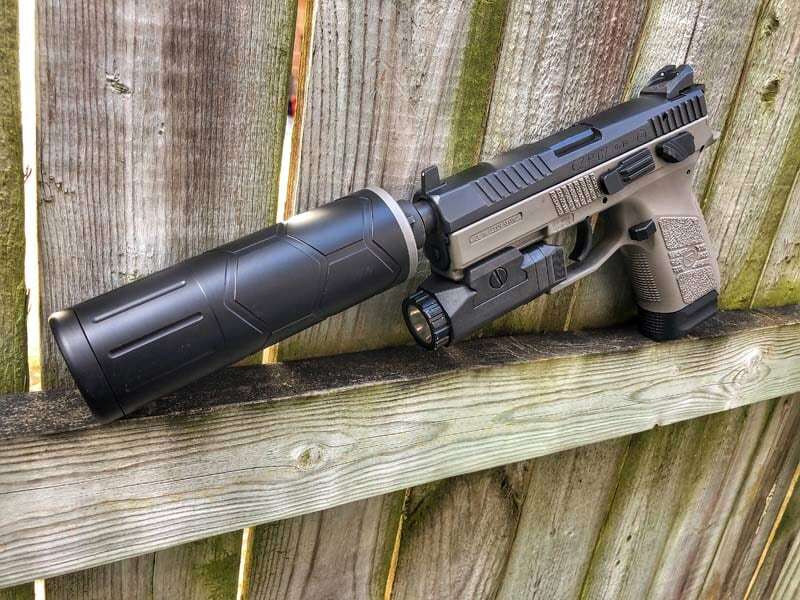 A silencer isn’t something to buy on impulse. It takes both time and money to wade through the red tape before the item is even received. With so much invested, in the end, there’s very little patience leftover for buyer’s remorse. Therefore, asking and answering the right questions helps the avoid any dissatisfaction. Manufacturers build silencers, or suppressors – the terms are interchangeable – for specific firearm platforms and chamberings. So, keeping the gun and, more importantly, the caliber in mind before making a purchase will help eliminate options. The next course of action is selecting a brand. Silencer manufacturers range from big companies to smaller ones. Almost all of them offer suppressors for standard calibers like .22LR, 9mm, .45ACP, 5.56mm, etc., but cans may differ in size and capabilities. Considering intended use, a suppressor made from higher quality materials would be better, for example, for a plinker than a deer hunter who would fire fewer shots. In that same vein, a shooter wanting to shoot unsuppressed may want a quick detach feature. Exploring those options makes narrowing the selection even easier. Multi-caliber cans are def chill even though suppressors dedicated to a single caliber perform better. The tradeoff, though, is buying only one will save money and the hassle of having to go through the procedure to buy another one. Personally, I want a suppressor that can run on as many guns as possible. For example, I use a .30-caliber suppressor rated for 5.56mm to .300BLK and equip each and every one of my rifles with a quick detach device. Three most common caliber cans that cover the most ground without losing sound reducing efficiency include .22, .45, and .30. Be advised, though, a multi-cal can rarely works for both a rifle and handgun. Most handguns use a direct thread and require a booster. But, if a rifle suppressor can handle larger diameter handgun projectiles all that’s needed is the hardware to mount the device. Once you buy one suppressor, you’re sure to want another. Using a suppressor makes the shooting experience so much more enjoyable. They greatly reduce the things that sometimes make shooting overwhelming – loud noises and concussion — so they allow you to take in more of the experience. I wish I would have jumped into suppressors sooner in life.